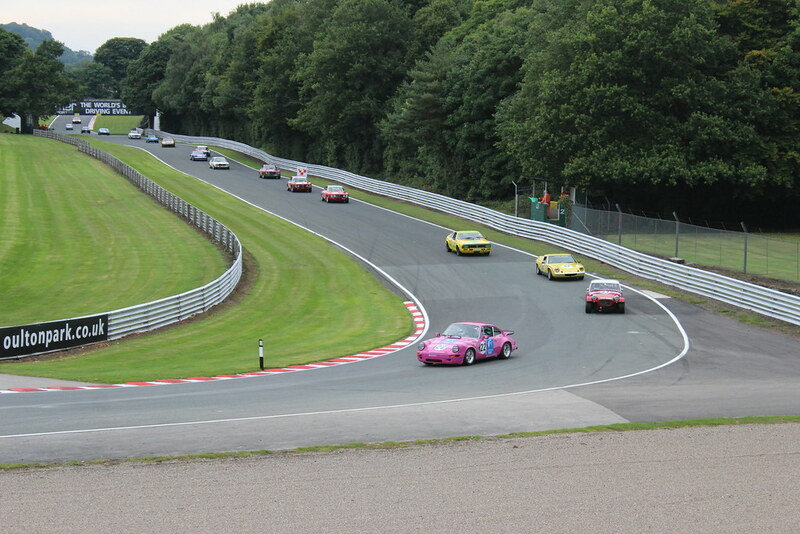 t*rexes and tiaras: Start your engines..
On Sunday we packed a picnic and headed to Oulton Park for the Gold Cup. 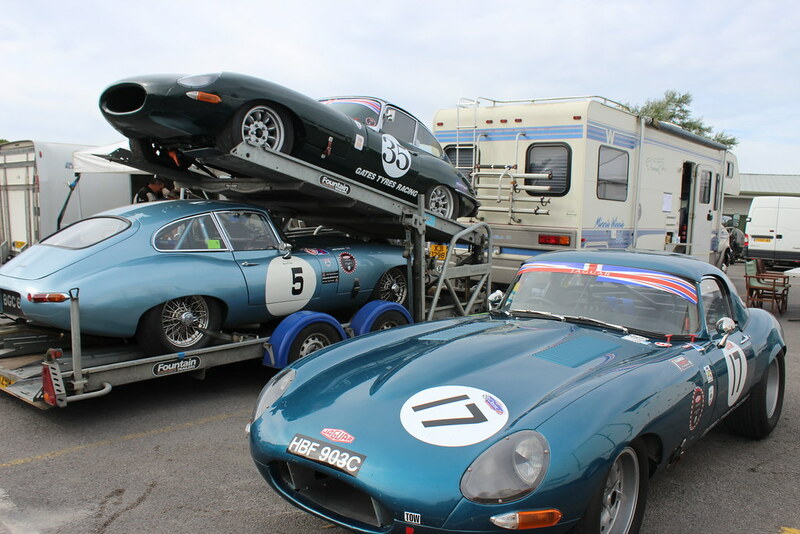 Having taken a look at the race schedule, it seemed that Sunday was the most interesting day to go (The Guards Trophy and the Jaguar Heritage Challenge caught my attention). On the whole I wasn't so fussed about the Formula Junior stuff, but then read that one of the drivers was making a comeback after 40 years since his F1 career, so that piqued my interest. Incidentally, that race was actually red-flagged because of a crash involving that very driver, but I heard all were OK.
As it turned out, the Sunday was probably the best choice as Monday's weather wasn't so good (plus, I was busy Monday anyway). We didn't bring any cars for the exhibition areas this year so ended up parking just behind the Lodge Grandstand, meaning that it wasn't far to go back to the car for picnic food, so we didn't have to carry the basket around all day. All in all, the weather, although the sky was a little grey, held out and seemed to make for good race conditions and a very enjoyable way to spend a Bank Holiday Sunday. How did you spend yours? It sounds like you had a fantastic day out. 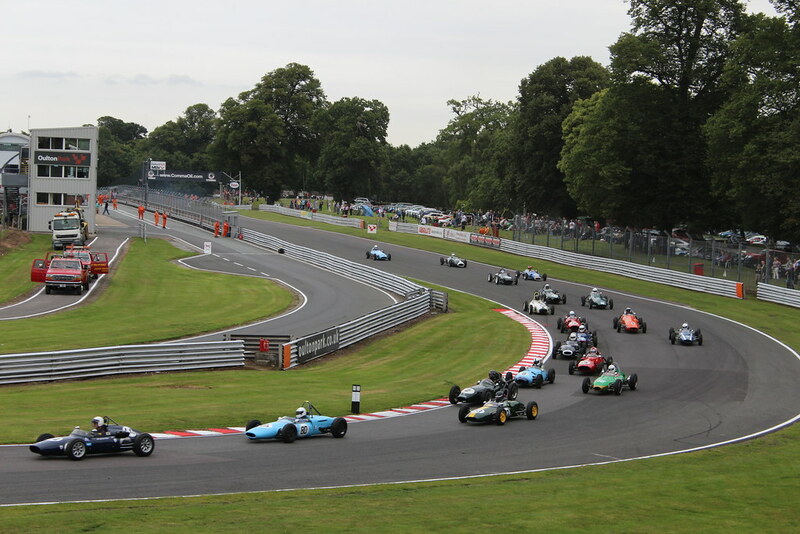 There are so many affordable and fun motorsport events on in the UK - it's easy to tar them all with the same brush as F1 which is way too expensive in comparison. I highly recommend going to Silverstone to see the WEC 6 Hours of Silverstone. 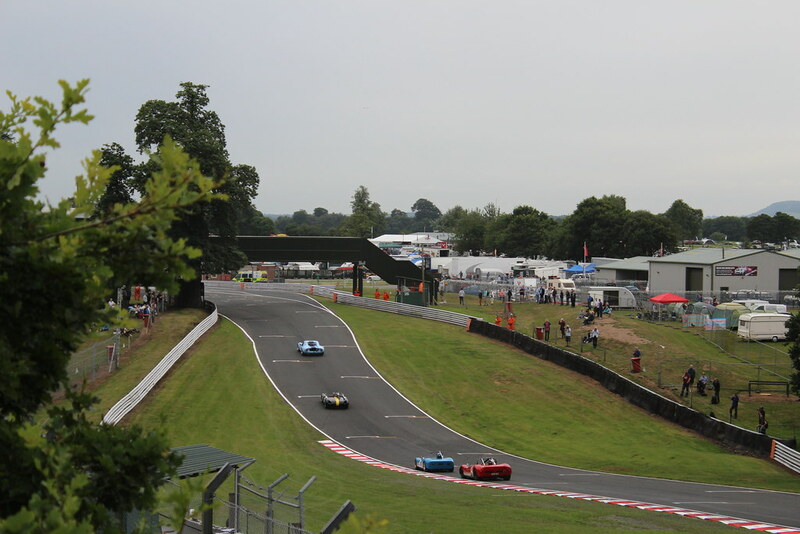 I went a couple of years ago, it was about £30 - £35 for an adult - you could sit anywhere, we sat in the pit lane grandstand, and the racing was great. This looks like fun. The cars look stunning, it seems a shame to put them in danger of crashing really... but then it wouldn't be much of a race would it? I'd forgotten that it was a bank holiday until I started to see references to it in my twitter timeline. I worked in the morning and then bunked off in the afternoon to read and knit. The weather was awful!